8 Saint Louis Crystal Paperweights.1st item: Faceted upright bouquet with 6 and 1 facet on white ground. Center signature cane "SL 1971". 2nd item: Faceted Clematis & bud with 6 and 1 facets over dark cobalt ground. Signature cane "SL 1970". 3rd item: Faceted Cherries paperweight with 6 and 1 facets over an upset muslin background. 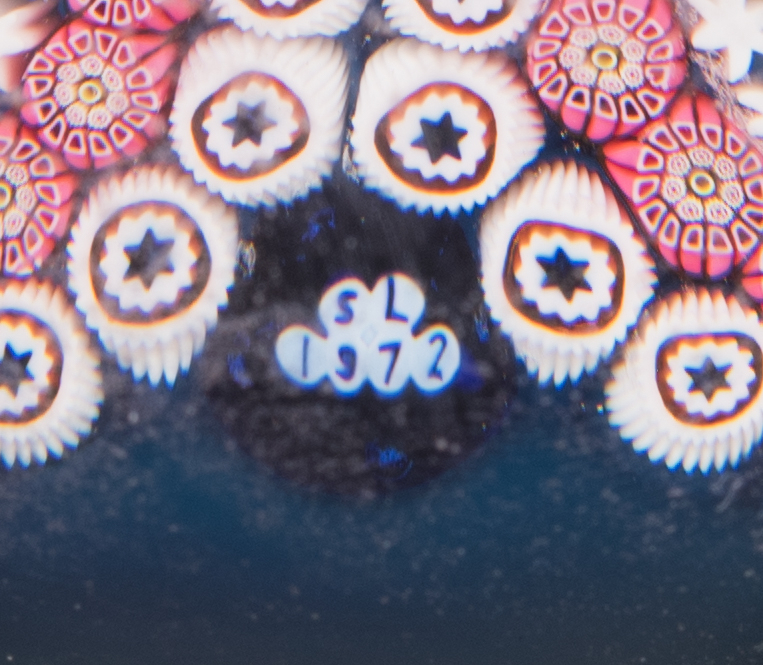 Signature cane on side "SL 1975". 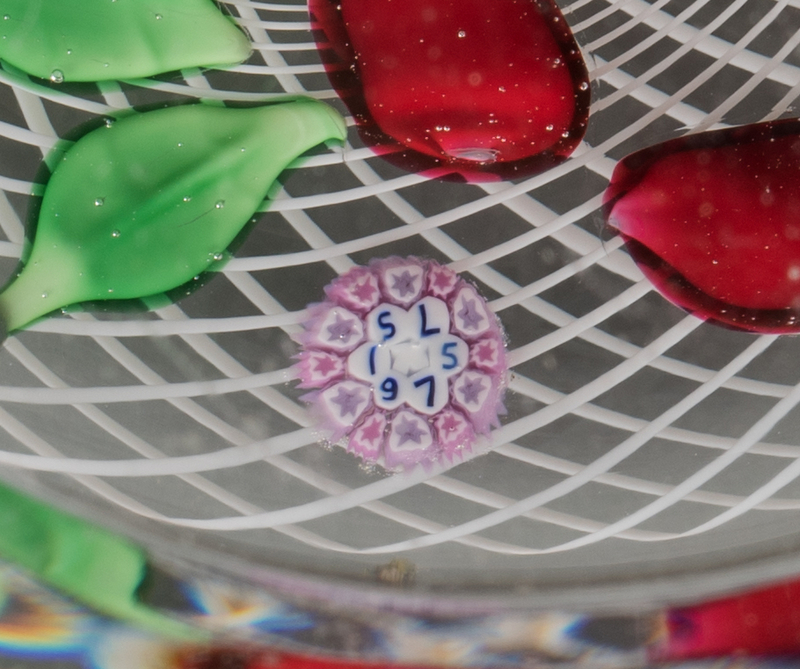 4th item: Faceted floral paperweight with 6 and 1 facets over a white ground. Signature cane en verso "SL 1976". 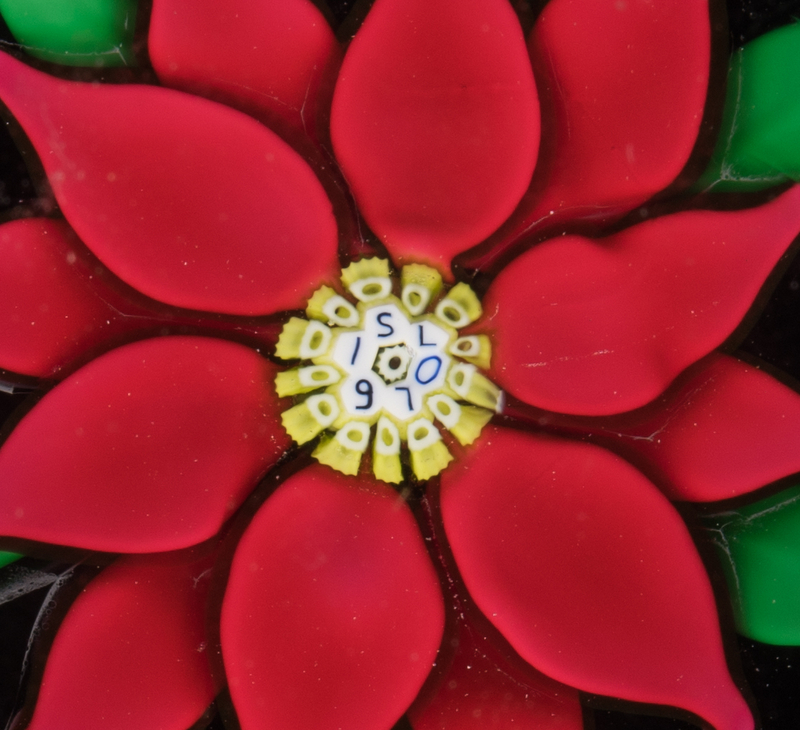 5th item: Paperweight with central cane surrounded with 6 loops on a red ground. 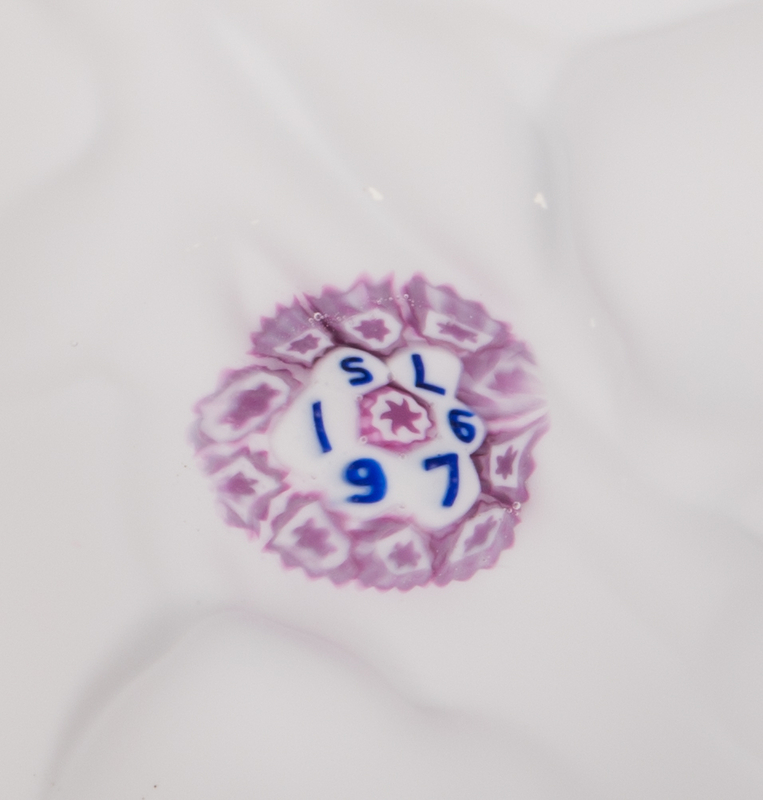 Signature cane on side "SL 1975". 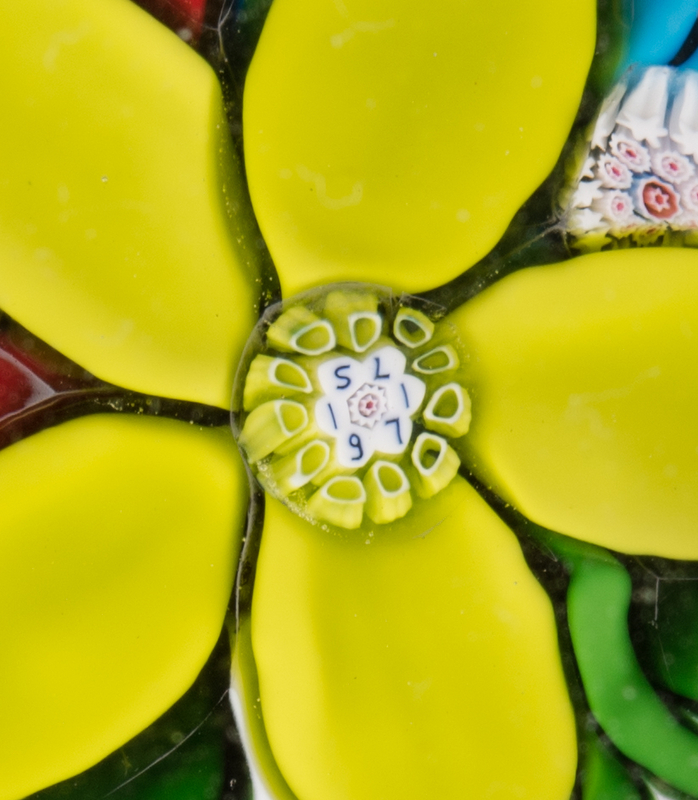 6th item: Green over white double overlay faceted paperweight, 6 and 1 facets, with "mushroom" millefiori bouquet. 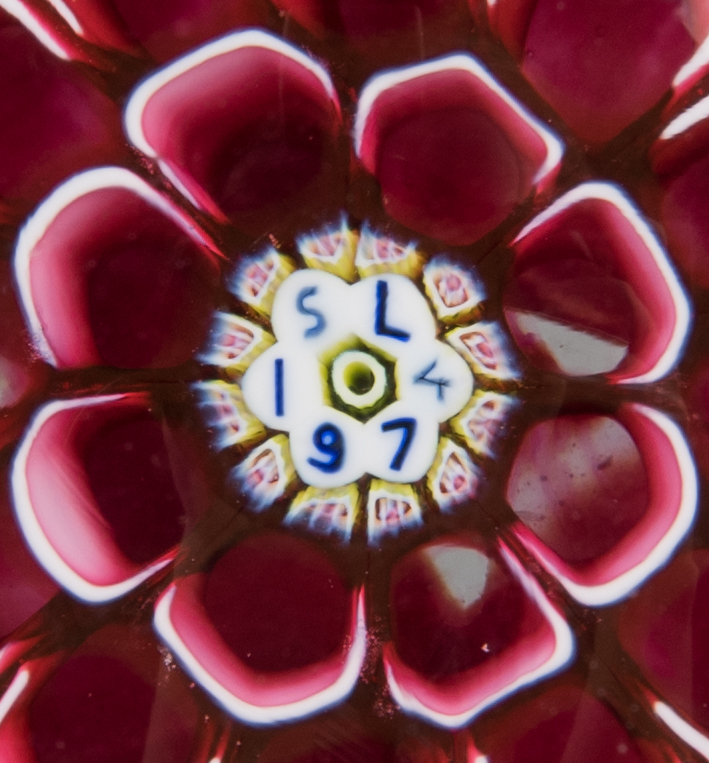 7th item: Red & white honeycomb paperweight, center signature cane " SL 1974". 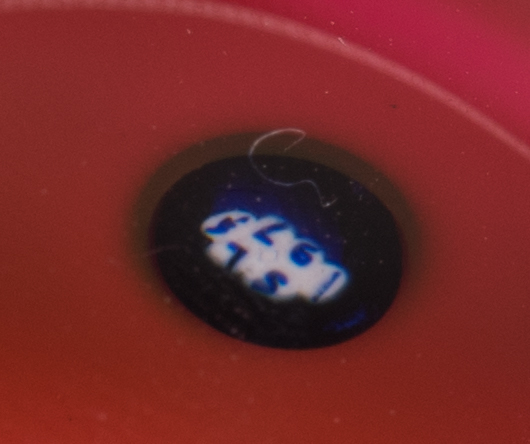 8th item: Paperweight with 6 identical circlets over a translucent blue ground. Signature cane "SL 1972" . Ranging in size from 3 1/4" dia. to 3 1/2" dia. CONDITION: All in excellent to very good condition. 3rd item: Fleabite on one facet. 6th item: Bubbles, fleabite on one facet.